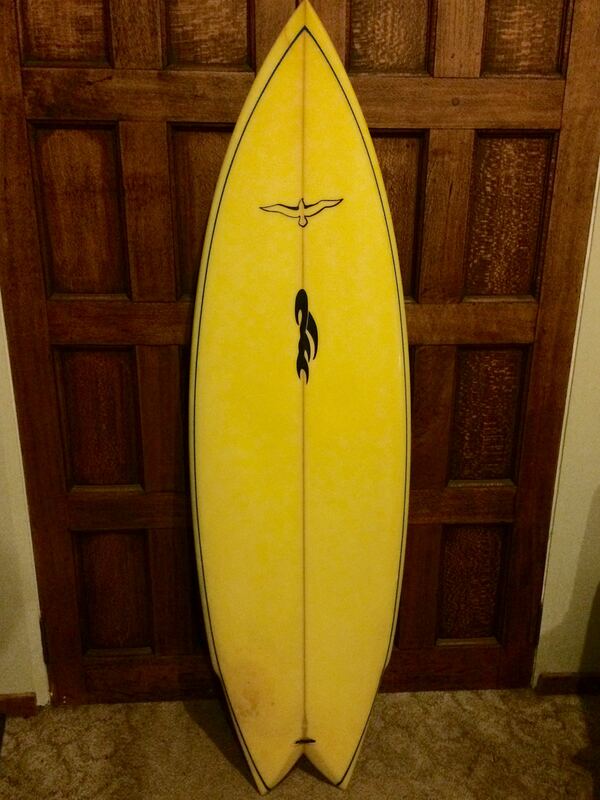 Found a DHD Twin 5'10 on the gumtree today. Going to pull the trigger. Maurice Cole’s twuster looks pretty nuts ! Had a few surfs on the DHD twin. Plenty of foam up front for paddling, nice thin in the tail for turning. Looking forward to getting it into a few bigger waves to see how it goes. 80kg. 5’10 x 19 3/4 x 2 1/2 31.5L MR PC twin + trailer. Pretty stoked on this Mick Pierce I just picked up. There's a feature on twinnies in the latest edition of Tracks. Some interesting boards in there. Is yours the orange and white one? Looks exactly the same plan as this one. 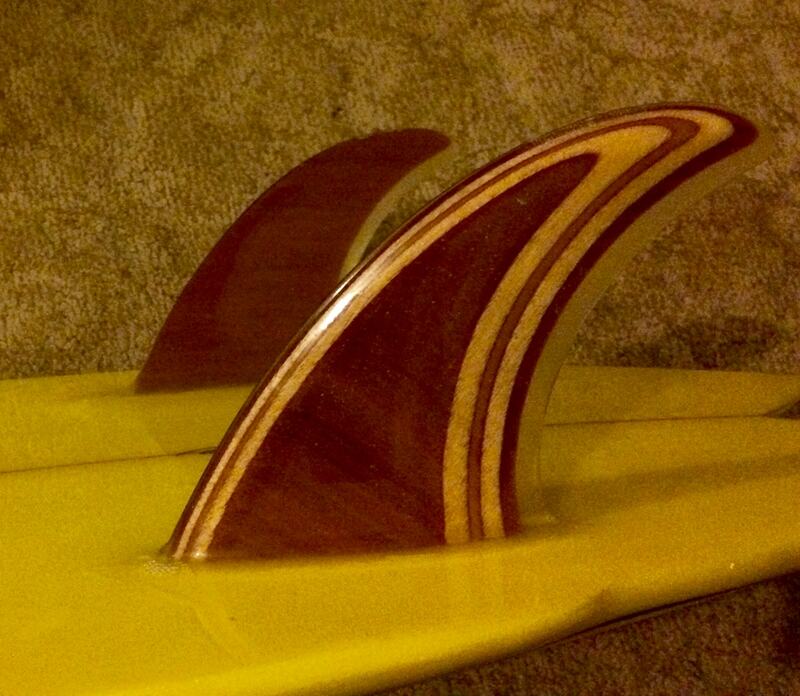 This is 5'9 1/2, 20 1/8, 2 7/16 made in 2002. My twinny has been my go to board the last month or two. I saw this on ebay today. 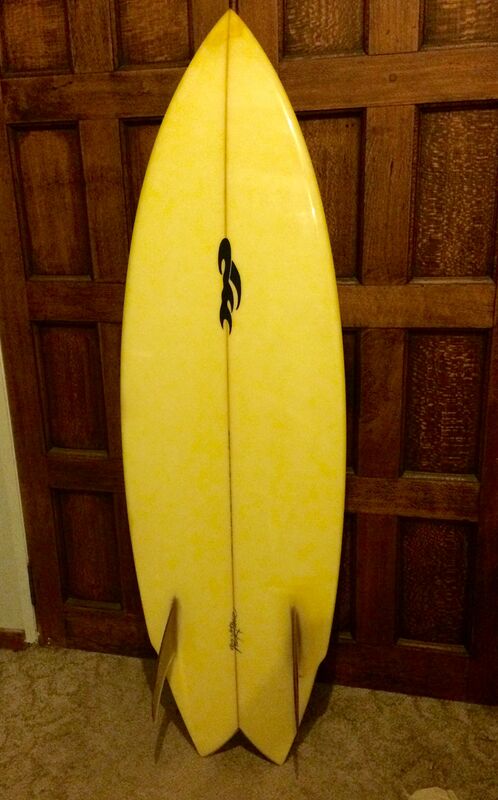 Another Mick Pierce twinny like mine on the previous page with the massive timber fins but scaled up to 6'10, 20.5, 3. Told my mate in Melb to jump on it. I'll be very interested to see how it goes in pretty much midlength dimensions. I reckon it would be heaps of fun on some of the vicco points for him. Sold for $250 what a bargain ! Was a $250 buy it now or best offer listing. I told my mate to buy it and he replied 'done' 5 min later .